One of the most intriguing fields right now is that of sustainable farming. It might come as a surprise to some that a pro-life conservative like me gives the time of day to the “sustainable” movement, given that so much of it is steeped in the thinking of the eco-extremist, Paul Ehrlich, “Population Bomb” crowd, who will weep over the demise of a turtle egg, and yawn at the death of an unborn human being or the atrocities committed under China’s brutal one-child policy. But it turns out that people who are wrong (even profoundly wrong) on one thing, may not necessarily be wrong on everything. In fact, there are good arguments that the modern political “Conservative” movement has completely missed the boat when it comes to environmental issues: that we have been so busy responding to the anti-human excesses of the eco-extremists and ecological doomsayers that our pendulum has swung to the opposite extreme, to the point that we have essentially made a virtue out of being contrarian. Rather than carefully mining the ore from the rubble, we have simply dumped the whole lot of it. And rather than running the risk of sounding like environmentalists, we have run pell mell away from the august conservative tradition of defending the land and championing a thoughtful self-limitation, replacing it with a profoundly anti-conservative value of “prosperity” at all costs. Hence, it is perhaps one of the greatest ironies of the present day that those who are some of the greatest enemies of humanity, are also those with some of the best ideas about how we ought to carry out our duty of stewardship over the land. Of course, they also have some of the worst ideas. And that is to be expected. For if you hate humanity as the enemy of nature, then inevitably your “solutions” to environmental degradation will tend to elevate the one over the other, at the expense of the well-being of the other. But I have spoken of mining the ore. And even in the thinking of radical environmentalists there is ore worth mining. One possible instance of such ore is the field of permaculture. I was introduced to this novel field a few weeks ago by a BBC documentary, which I heartily recommend watching (I have embedded the first part of it at the bottom of this article). Since then I have watched a few more documentaries about it, and presently I am reading a book by one of the two founders of permaculture, Bill Mollisson, which I will review when I am finished. 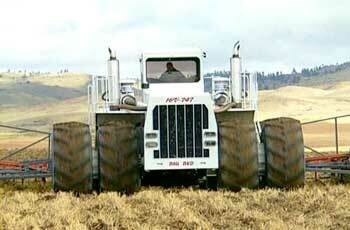 Is this style of farming "sustainable." I think there is good evidence that in the longer run, it isn't. The documentary sets the stage with the argument that oil will run out by such and such a date, and hence we need to develop farming techniques that do not require fossil fuels. This is the weakest section of the film, and if you are a skeptic, I urge you to push beyond it. Not only have environmentalists been wrongly predicting the imminent end of oil for the past thirty or forty years, the question of whether or not fossil fuels are running out is largely peripheral to the discussion. Obviously, if the oil wells are about to run dry, that adds a sense of urgency to the search for ways to lessen our dependency upon oil. But even if evidence were found that we have abundant oil to last for centuries or even millennia, there are myriad other reasons, equally compelling, to develop methods that do not require it. There is, of course, the fact that supplies of fossil fuels are subject to disruption, especially in times of war or natural disaster, which poses a considerable social and security threat. Then there’s the question of good stewardship: the more efficiently and intelligently we can use fossil fuels, then the more we can leave for future generations, and the more responsible we are being with the resources given us. Then there’s the pollution question, as well as the rather large subject of what large-scale agri-farming does to our land and our food. And there are half a dozen other good reasons I can think of off the top of my head. That’s probably all quite obvious. But what intrigues me about permaculture is that it is a completely new way of farming (although some of these techniques have been used in traditional cultures). What I mean is, that when some people suggest that we need to stop using fossil fuels in farming, our immediate response is, “We can’t go back to the way things were.” But in this case, we wouldn’t be going back to the way things were. Rather than a rehashing of 19th century horse-and-plow farming, permaculture seeks to use the vast amount of scientific knowledge we have compiled since then to develop a system of farming that is more sophisticated than anything that currently exists, or ever has existed. It’s not simply a question of returning to horse and buggy and doing things the way our great-grandfathers did it. That would be impractical, and besides, no one wants that. Sepp Holzer runs probably the most famous permaculture farm in the world. He has transformed land on the side of the Alps that the traditional famer would write off as completely useless into a financially successful farm, producing and abundance of top-quality fruits and vegetables. The main idea behind permaculture is that the farmer should study and imitate nature so as to develop small-scale and complex food-producing eco-systems – akin to the ecological systems that spontaneously exist when nature is left unmolested by man – that are composed of stratified and inter-dependent layers of production. The idea is that such a system would utilize the land more efficiently than anything we are currently doing, and completely eradicate the need for artificial fertilizers or pesticides. The latter it accomplishes by creating a cycle where the soil is perpetually replenished and where pests are either put to work, deterred by deterrent plant species, or gotten rid of by encouraging predator species to eat the pests. 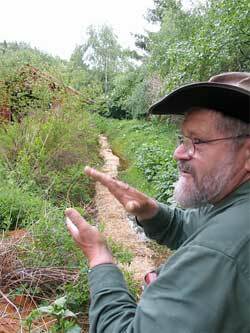 Bill Mollison describes permaculture as a sort of agricultural “jiu-jitsu,” working with nature, rather than against it. The idea is that each farm should be created as a self-enclosed and self-maintaining system, where the resources of the land are put fully to use, and no energy or byproducts are ever wasted. To farm in this way requires that the farmer have a great deal of the scientist in him: and in this sense it strikes me that this style of farming may well be a perfect match for the 21st century. This is not farming for the 19th century serf or country-bumpkin, but rather for the college-educated thinking man, who takes a delight in problem solving. Of course, the great question that remains unanswered is whether or not such techniques could possibly feed our current, and a growing population. Defenders of modern agriculture respond to the organic farming activist by pointing out that modern methods have served us well over the past century, increasing yield from the land by exponential figures, and leading to unprecedented well-being and wealth, especially in third world countries. And they have a point: in this sense, “organic” or “sustainable” farming has an extremely high standard to meet. And yet, I am skeptical of those who declare that simply because industrial agriculture has done so well, that there is no better way. Scientific progress has been the byword of the last couple centuries, and if we have already seen one agricultural revolution, why might there not be another one? While it is good to acknowledge the good that industrial agriculture has accomplished, we cannot, without a certain dishonesty, turn a blind eye to its enormous costs. Dependence upon non-renewable fossil fuels is only one amongst many. There are the considerable dangers posed by the monoculture, which has become so standard, particularly in our grain production; then there is the increasing control of agriculture by international agri-businesses, which threatens the livelihood and freedom of the small farmers, not to mention the healthfulness of our food; and then, of course, there is what current techniques do to the soil as well as the water supplies – creating widespread erosion and stripping the land of all its nutrients and hence requiring vast quantities of fertilizers, and poisoning the water with the run-off from the land. And then there are the cultural costs: the mass urbanization of society, and the widespread alienation from the means of production and from the land. 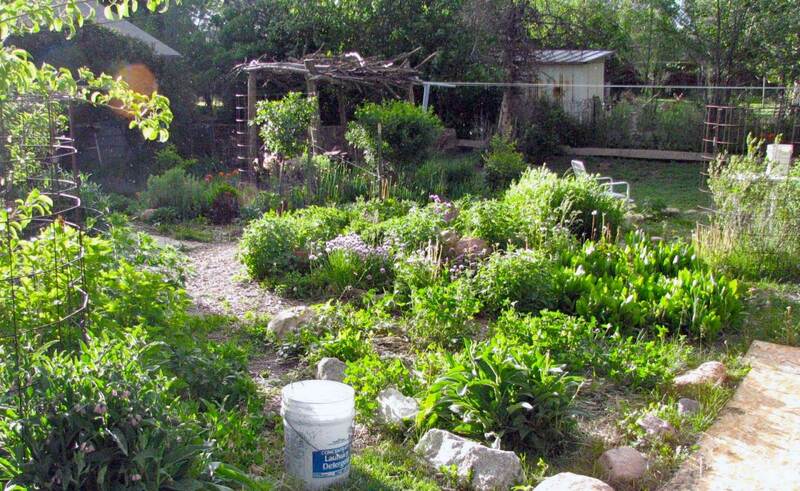 If permaculture lives up to any of the promises of its proponents, it may be the solution to many of these problems. Permaculture advocates swear that it is capable of producing at least as much as industrial agriculture per acre, but without any of the costs. Perhaps the only catch is that this style of farming is so information-intensive that it is almost impossible for any one farmer to work any large acreage. Permaculture is inherently a small-scale form of farming; to maximize yield the farmer must painstakingly analyze every square meter of his property, and put it to its best use. But rather than a downside, I view this as one of the greatest advantages. In the first place, it places the farmer back in touch with his land, from which he became alienated as soon as he climbed into the air-conditioned cabs of modern industrial tractors. And secondly, it creates incentives for many of the disenfranchised urbanites who may wish to live a simpler and more wholesome life to pick up and try their hand at working the land rather than cubicle living. Obviously for this to work, there would need not simply be an agricultural revolution, but also a cultural revolution involving the widespread re-ruralization of society. This is not something we can expect to happen immediately, or even within the next century, barring some catastrophe that requires such a dramatic restructuring of society. And yet, just because it is not likely to catch on any time soon is not a good reason not to pioneer such methods, to figure out if they work, and if they do, to work towards smoothing the way for a gradual transition. This is the response to those who accuse permaculturalists and “organic” famers of mere starry-eyed idealism. As human beings we must ever be moving forward, or at least trying to. We know that there are great weaknesses in the way we farm now: so why shouldn’t we look for better ways that overcome these weaknesses? What I find especially interesting is that many of the people who are championing these techniques don’t fall into the stereotype of the “environmentalist,” with many either not mentioning population control as being an important issue, or simply dismissing it outright, arguing that “green” farming can do as much, or more, than modern farming to feed the world. While the “sustainable” movement may have a foundation in the doomsday theorizing of Paul Ehrlich, good may yet come of evil. And indeed, there is a growing offshoot of environmentalism that has no patience for such things. Those who belong to this offshoot are simply attempting to find methods of growing food and creating local economies that lessen our dependence upon foreign-produced or pollution-creating fossil fuels, while taking better care of our land for future generations, restoring the beauty to parts of the earth that have been destroyed by indiscriminate agri-farming, restoring the means of production to the hands of a wider strata of the population, seeking a simpler and more beautiful way of life, rejuvenating the life of local communities, and growing healthier food. And those are all things I can support. 8 Responses to Permaculture – the sustainable farm of the future? I’m really into the idea of sustainable agriculture, though I admit that permaculture isn’t something I know a lot about. I come at it, in large part, from the point of view of social concern. Sure, here in America, where there’s plenty of energy, petroleum, tractors, and GMO seeds, we can produce huge yields. But in the third world, they don’t have any of those things — and they need methods that require fewer inputs and produce higher yields. They need NOT to be dependent on uncertain food deliveries from the world’s breadbaskets, or to be reduced to living off of handouts from richer nations. Meanwhile, even here in (North) America, farmers get sick from pesticide use and our population isn’t that healthy either. Food is the very most basic activity of any society — is this really the best job we can do with it? If more pro-lifers were willing to think and talk this way, the movement would have much more appeal for the average Catholic who is concerned about such questions but has been given the impression that pro-lifers find them irrelevant or even counterproductive. Well said, and thank you for saying it! In the past, I was certainly one of those who didn’t dare associate with any concepts emanating from the far-left environmental extremists. Caring for the earth and its soil is integral to a healthy population, and integral to our Faith, as we are called to care for ALL God’s creation. We would do well to become more aware of how big business agriculture has so commodified food production to the point where the food in our grocery stores is so toxic and so nutrient-depleted, that it can hardly qualify as food anymore; and the plethora of auto-immune diseases, cancers, heart attacks and strokes in younger and younger populations is a pretty good indication of the results. Thank you, again, for clearing the air! Home run topic here. I am continually irritated by the “right” crowd that poo-poohs the “left” ideas about conservation. Just because overpopulation is a myth, or because the climate isn’t impacted by whether or not I drive an econoline van, does NOT mean that actions taken by human beings to sustain our environment are useless. Por exemplo. I recycle. This is good–it means I don’t spend as much money on trash bags. I have a garden. This is good–it means I spend money on seeds and cow poo instead of on waxed vegetables from the store. I turn off the lights. This is good–it means I don’t become homicidal when the electric bill comes. We have one car. This is good–it means we’re half as likely to cause an accident on the highway as a two-car family. How are these not productive things? And I’m not being facetious, I promise, just…I dunno. A little punchy this morning. Of all people, conservatives and their pragmatism ought to be madly in love with ideas about sustainable living. They’re so practical. Never mind discussing the long-term benefits with a rightie! Just trying to convince people that, by recycling a can, I am not buying in to a great racket of tree-hugging pro-choicism is entirely too difficult. Conservatives – social, fiscal, and libertarian alike – need to seize the initiative and take the high ground on the environment and sustainability. Thank you for doing so! Hear, hear! I think to be pro-life includes being pro-creation. It’s not our planet; it’s God’s. We’d better be good stewards of it. “The nations raged, but your wrath came, and the time for… destroying the destroyers of the earth.” Rev 11:18. I think God takes it seriously!